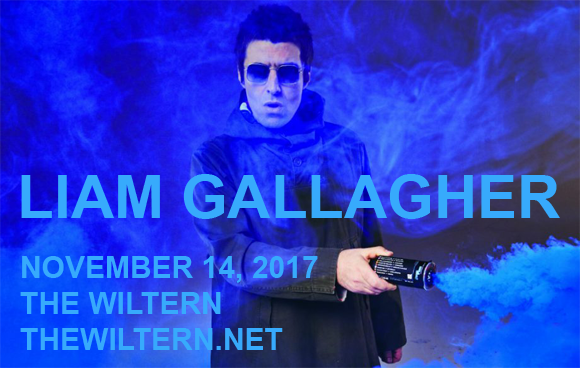 Britpop icon Liam Gallagher comes to The Wiltern on Tuesday 14th November 2017 to promot he long-awaited, hotly-anticipated debut album, As You Were! One of the most notable figures in modern British music, English singer and songwriter Liam Gallagher rose to fame as lead singer of the British rock band Oasis, alongside Paul "Bonehead" Arthurs (guitar), Paul "Guigsy" McGuigan (bass guitar),Tony McCarroll (drums, percussion) and Liam's older brother Noel Gallagher (lead guitar and vocals). The band's debut album, Definitely Maybe (1994), was the fastest-selling British debut album ever at the time. Their 1995 follow-up (What's the Story) Morning Glory? was granted even more success, becoming the third-best selling album in British history, and the band's third album, Be Here Now (1997), set a new record as the fastest selling album in UK Chart history. Noel left the band in 2009, leaving Liam to continue with the other members under the name Beady Eye. Gallagher's debut solo album, As You Were, was released in October 2017. He was voted the greatest frontman of all time in a 2010 reader poll by Q magazine.